So, long story short, I thought there was a chance my female corn snake could be pregnant. Was previously cohabbed with male, but I only observed mating like 3 week ago. They have since been separated and she has refused to eat for three weeks now. She shed 2 weeks ago. They were not brumated so I thought it was highly unlikely actual ovulation and eggs and things would occur so I didn't prepare for it. Walk in twenty minutes ago and there's eggs in the viv. I'm hurriedly trying to heat up some mice for her to take since we've been having eating problems and I'm really worried her strength will be low now. She laid them in her hide, not an overly humid environment. I don't have an incubator. There's nowhere here that sells them and is open on a Sunday. Any way to save the clutch or should I just bin it? Anything I can do for my poor snake as well? Oh and there's two that are outside the clutch I take it they're dead already? 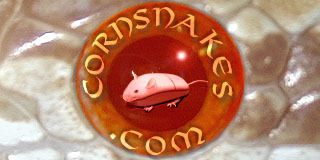 Corn snakes do not have to be brumated. It's a good idea because they cycle faster after being removed from brumation, but I don't brumate anymore. As far as the eggs, if they appear viable, somewhat white shells and not yellow and rubbery to the touch you need to keep them from drying out and dimpling. The ones laid outside the hide can still be fertile if they look white as described. You can put the eggs in a plastic container with moist substrate and set them on or near the warm side of your vivarium until you can get an incubator. I wouldn't buy an incubator if the eggs are yellow and rubbery, as they are probably infertile. If you want to try just in case there are fertile ones, do incubate them. Give the female a day or two to rest and then offer her a small meal. I would not cohabitat them again, as the male will try to mate again. Well, they're white, but I would say it's closer to rubbery than moist. However a lot of them were robust and oval shaped. However Now some of them have started to dimple a bit and there's quite a few blemishes on them. I've put them on moist paper towels and put them over the heatmat (down at the base of the heatmat it comes in at 30 degrees c so I've put it above a centimetre or two of substrate to make it so that the eggs come in at roughly 27-28) Put them in a plastic tub with a few holes in the top for ventilation too? Think they're salvageable? If so what kind of incubator do I need? Do I need to fork out for a reptile one or can I use a chicken one? I've had worse looking eggs hatch with no problems. Not all were fertile but several were. The wet paper towels should help with the dimpling, but don't overdo the moisture when you set the eggs in a hatching medium. I don't know what you have available there but here I have organic perlite that I use. Any incubator will suffice, as long as it keeps a fairly even setting without high spikes in temperature. In warm climates like mine I don't use an incubator all the time, just put the containers on a shelf. My room temperature is usually 80 degrees F. I don't have ventilation holes on my egg containers because it's hard to maintain the proper humidity. I just open the containers once a week for air exchange. You can do a search on this forum for egg container hatching medium. I don't know what others do regarding dimpling, but I'll tell you what I do. I use an eye dropper to put water on each dimple and then cover the dimple with a small piece of paper towel. In a day or so the egg is rehydrated and I remove the paper towel. I'm only talking about dimples on top of the eggs. While some humidity is necessary in the egg container you don't want it so humid that water droplets appear on the sides and top of the container. Believe me, I've ruined a clutch by having too much moisture.